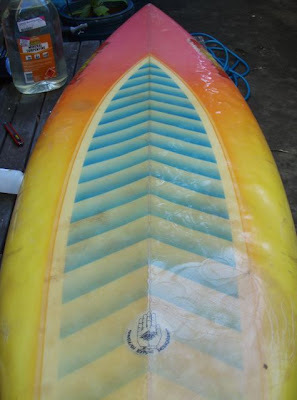 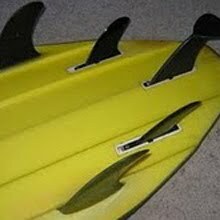 I'm pleased to share with you my 6'1" rounded pin tail Hot Stuff thruster, shaped by NZ legend Al Bryne on the Gold Coast in the early 80's.Its nearly at the end of its life but its one enduring feature is its beautiful deck spray, comon on HS boards of the period. 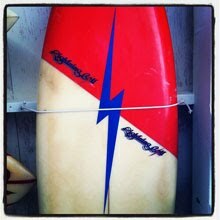 The history of HS shapers is well documented but who skillfully wielded the air brush is unknown to me. 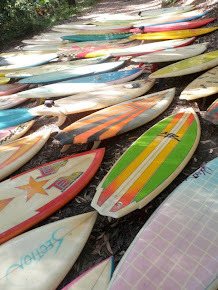 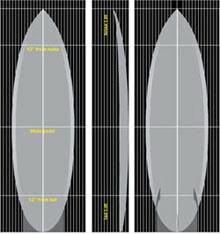 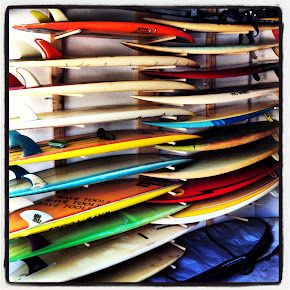 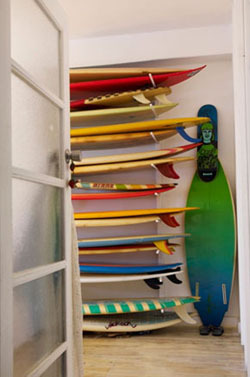 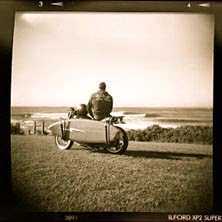 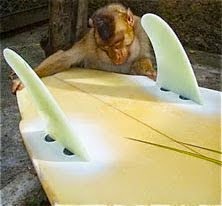 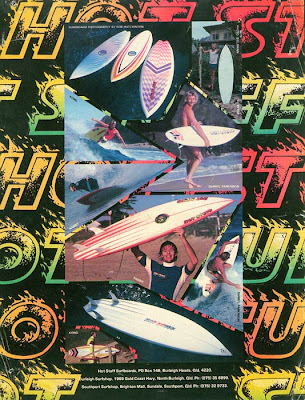 Hot Stuff Surfboards began at Currumbin in the late 70's with Gill Glover in the Shaping Bay and John Allen in the glassing room. 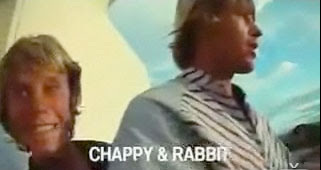 My favorite 80's surfers Chappy Jennings and Gary “Kong” Elkerton signed up in ‘81. 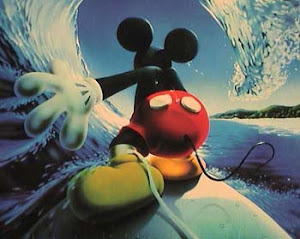 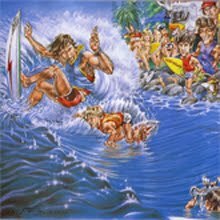 By ‘82 Kong had joined the rest of the HS crew Rabbit and AB surfing the west peak at Sunset. 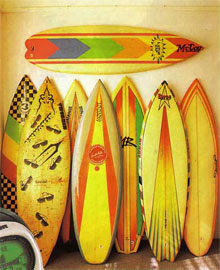 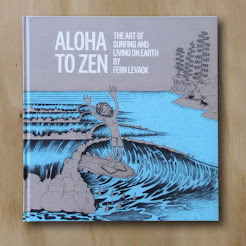 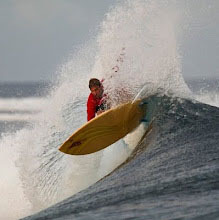 Derrick Doerner became Hot Stuff's Hawaiian connection, building special rack’s that kept “AB”s classic bottom curves proportionately stable between Hawaiian seasons. 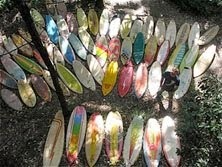 Artificial reefs, where are they?